Japanese Prime Minister Shinzo Abe is paying an official visit to China from October 25 to 27. 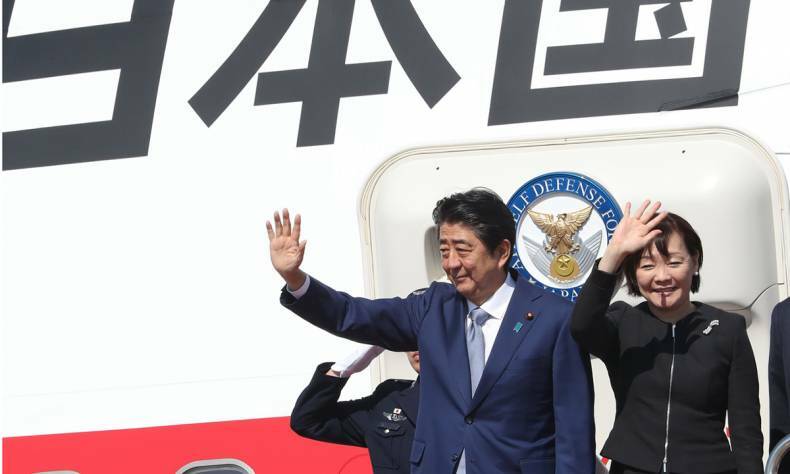 It will be the first official visit to China by a Japanese prime minister in seven years. On the eve of his visit to China, Abe sat down for a joint interview with the Chinese media stationed in Japan. 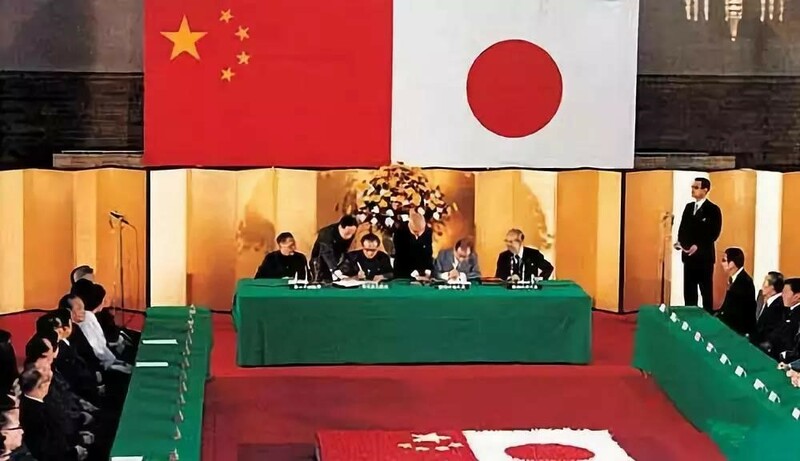 Δ The ratification of the “China-Japan Peace and Friendship Treaty” was held in Tokyo on October 23, 1978. Q: This year marks the 40th anniversary of the “China-Japan Peace and Friendship Treaty”. How do you comment on the historical and practical significance of the treaty? How do you evaluate the course of development of China-Japan relations and the importance of the healthy development of the relations? How do you comment on the current relations, and what are your expectations for your visit to China? What experiences and lessons do you think the two sides should draw from in the development of their relations? History and the Taiwan issue are important topics in China-Japan relations. How should we deal with these problems in the process of improving bilateral relations in the future? Shinzo Abe: Exactly 40 years ago today, the “China-Japan Peace and Friendship Treaty” was signed, which has formed the basis of our relations. Although the treaty contains only five brief sections, it accounts for the origin of Japan-China relations. “To develop lasting peaceful and friendly relations between the two countries”, “to settle all disputes by peaceful means” and “neither party shall seek hegemony in Asia and the Pacific or any other region” are still important principles that we need to keep in mind. Japan and China share major responsibility for peace and prosperity both within our region and in the world at large. Meanwhile, there are also problems that exist between us, including historical problems that are difficult to solve because we are neighboring countries. However, we have a duty to deal with these issues together step-by-step under the concept of “strategic reciprocal relations,” and to develop friendly and cooperative relations in a stable manner, bearing in mind the overall situation and responding to the expectations of Asian countries. Last November, my talks with President Xi Jinping represented a new starting point in Japan-China relations. During Premier Li Keqiang’s visit to Japan in May this year, relations between the two countries returned to a normal track. I talked to President Xi in Vladivostok this September about my visit to China, and the relations of our two countries are making steady progress toward a new stage of development. During this visit, I hope to join China in celebrating the 40th anniversary of the “China-Japan Peace and Friendship Treaty”, and have a frank talk with President Xi and Premier Li on the many issues facing the region and the world. We should expand our scope of cooperation in politics, security, the economy, culture, national exchanges and other fields to help Japan-China relations achieve new heights. After my visit to China, President Xi will be invited to visit Japan in the hope of ushering Japan-China relations into a new era through frequent summits between heads of state. With regard to the Taiwan issue, Japan has consistently maintained its stance as stated in the “Japan-China Joint Declaration” of 1972. We look forward to a peaceful settlement of the Taiwan issue through direct dialogues between the parties related and to the benefit of peace and stability in the region. Q: The development of China-Japan relations has experienced twists and turns in recent years. But with the joint efforts of both sides, relations have continued to improve. Public opinion maintains that the four political documents between China and Japan have acted as stabilizers for the consistent and healthy development of bilateral relations. Among them, the fourth political document clearly stipulates that China and Japan “are cooperative partners that do not pose any threat to each other” and “support the peaceful development of one another.” What do you think of China’s development? What do you think should be done to make the above consensus widely accepted by the two societies? This year marks the 40th anniversary of the beginning of China’s reform and opening up. What are your thoughts on China’s achievements? How will Japan further participate in China’s reform and opening up in the future? Shinzo Abe: This year marks the 40th anniversary of the ratification of the “China-Japan Peace and Friendship Treaty” as well as the 40th anniversary of China’s reform and opening up. In the past 40 years, Japan has supported China’s undertaking through ODA (Government Development Assistance) and private enterprise investment. For a long time, the Japanese government and the Japanese people have served as strong impetus for China’s development, and we are delighted by China’s achievements as a neighboring country. At present, bilateral trade totals about US$300 billion, and the total amount of Japanese investment in China has risen to US$3.3 billion. The economies of the two countries have formed an inseparable relationship. Japanese companies have set up more than 30,000 offices in China, creating a large number of job opportunities. At the same time, Japan has also greatly benefited from the vibrant Chinese economy through these Japanese enterprises. There is no doubt that China’s economic development represents a huge opportunity for Japan and the world as a whole, and it should be warmly welcomed. Japan has a wealth of experience as a leader among countries in dealing with environmental pollution, industrial upgrading, ageing and sub-replacement fertility levels, which will hopefully provide reference for China in its future processes of reform and opening up. The world is more connected than ever before, and problems that cannot be solved by one country alone are on the rise. I believe that the time has come for Japan and China to strive together for global peace and prosperity in response to the expectations of all countries around the world. 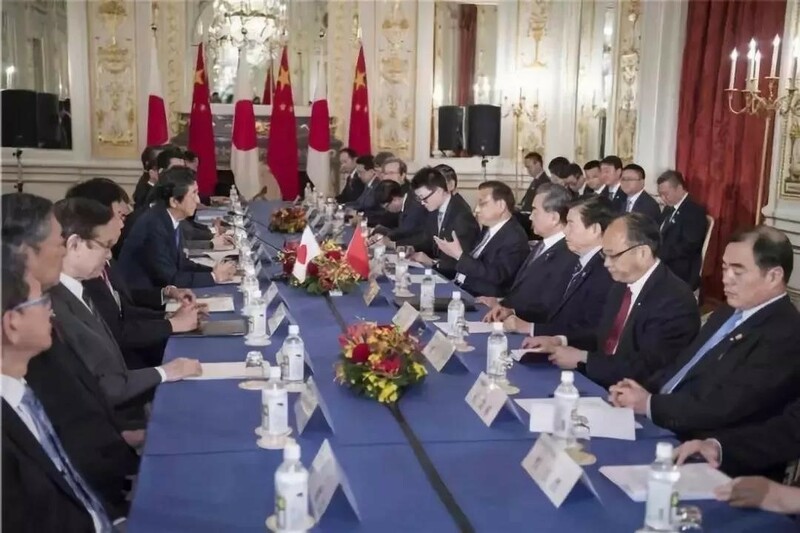 Δ In May, Premier Li Keqiang visited Japan and attended in-depth discussions with Prime Minister Shinzo Abe on topics such as developing third-party market cooperation and cooperation in high-tech fields between China and Japan. Q: This year marks the fifth anniversary of President Xi Jinping’s Belt and Road Initiative. How do you comment on the achievements of the Initiative over the past five years? During Premier Li Keqiang’s visit to Japan in May this year, the two sides reached consensus on developing cooperation in third-party markets. What sort of progress has been made so far? What are the future prospects for cooperation? Scientific and technological cooperation between China and Japan is fruitful and is of far-reaching significance. What are your thoughts on the importance of science and technology innovation and cooperation between China and Japan? In what areas of science and technology can the two countries enhance cooperation? Shinzo Abe: Asia is the center of global economic growth, and it is important to meet its significant infrastructure needs. So far, there has been fierce competition between Japan and China in bidding for infrastructure construction projects. But as a result, unnecessary cost competition raises questions about whether these projects are still in line with the original aim of “improving cohesion through quality infrastructure”. Therefore, the future approach to be taken by both sides is to carry out cooperation in areas where it is needed. 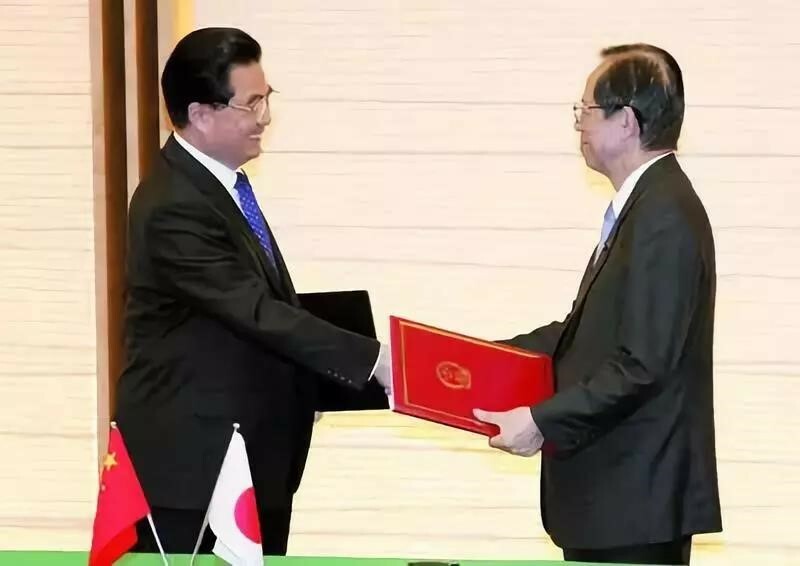 On the occasion of Premier Li Keqiang’s visit to Japan in May, regarding Japan-China non-governmental economic cooperation in third countries, the two sides reached an agreement to set up a new cross-sectional “committee”, a coalition of the government and the public in the framework of Japan-China high-level economic dialogue. The two countries also agreed to hold a “forum” as a platform for exchanges between non-governmental enterprises during my visit to China. Accordingly, at the “first session of the Japan-China third party market cooperation working mechanism” held on September 25, the two sides reached an agreement that the two governments would support discussions in the form of a “forum” including participation by the “committee” and private enterprises in the future, so as to foster cooperative projects between Japanese and Chinese enterprises that conform to international standards and bring benefits to third countries. Taking this visit as an opportunity, the first “forum” is set to be held, at which about 1,000 Japanese and Chinese businesspeople will gather. What we are looking forward to is that in the face of strong demand in Asian infrastructure and other fields, the private enterprise counterparts of both sides (can) cooperate with one another and jointly answer this call. 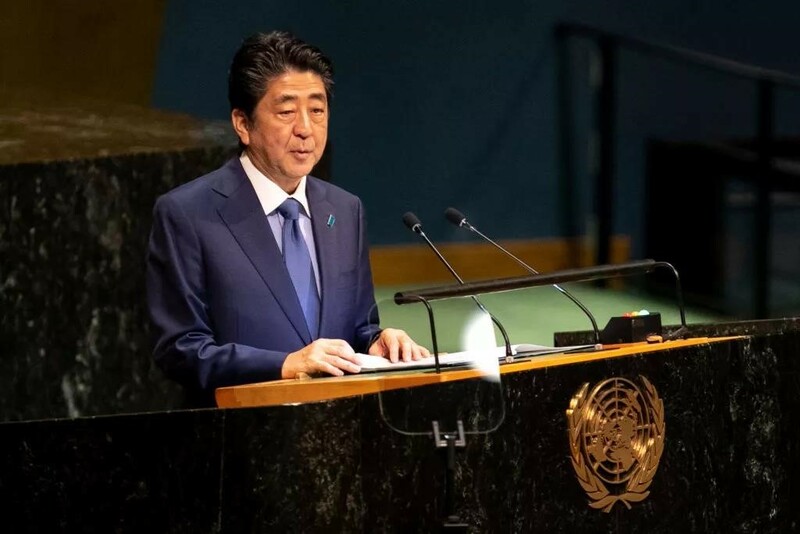 Δ On September 26 (Beijing time), Abe delivered a speech at the United Nations to express his views on topics such as strengthening the free trade system. Q: The world today is facing various problems. Many experts believe that President Xi Jinping’s concept of a “community with a shared future for mankind” has provided a solution incorporating oriental wisdom. What do you think of this concept? In your speech at the 73rd general debate session at the UN General Assembly, you focused on the importance of preserving free trade and said that the key axis of stability in Asia should be built through China-Japan cooperation. With the rise of “anti-globalization” and trade protectionism, what role do you think China and Japan should play in safeguarding global free trade mechanisms? Shinzo Abe: As I understand it, President Xi Jinping put forward “a community with a shared future for mankind” at the “high-level dialogue between the CPC and the world’s political parties” in December last year. He made it clear that the CPC is more than willing to make contributions to world peace and harmony. Japan and China bear major responsibilities that are indispensable to efforts to achieve peace and prosperity in Asia and around the globe. The fact that the two countries are jointly shouldering responsibilities is also a response to the expectations of the international community. I believe that it is of great significance to consolidate the economic order based on the rules of freedom and justice. The contest to impose trade restrictions will do no good for either side. Japan respects the WTO and sticks to its position that every measure should be in accordance with WTO regulations. As the biggest beneficiaries of the free trade system, Japan and China should preserve cooperation to reinforce the WTO and other multilateral free trade systems. Do Japanese like Chinese now?